Do the winters in Detroit get you down? Does your group want to travel to warmer climes for some fun? If you’re having a particularly rough winter, nothing sounds better than getting away from the cold and the snow. One of the best places to go to enjoy some sun and surf is Florida. But with tons of great destinations in the Sunshine State, where is a good place to start? Read on to learn more about Orlando and then contact Ground Travel Specialist today to plan your trip to this great Florida city! Ground Travel Specialist (GTS) is the best choice for charter bus rentals in Detroit and across Michigan. Our buses are new, well-maintained, and clean, and they have all of the amenities that modern passengers demand. Each of our buses is equipped with WiFi, charging ports, comfortable seats, and an audio-visual system. Contact us today to learn more about our rates, our vehicles, our safe drivers, or to book your charter bus to Florida or anywhere else in the United States. Orlando is probably best known for its theme parks. Disney World and Universal Studios Orlando are two incredible parks that are perfect for people of all ages, but there are more than 12 parks in the area, so do your research before settling on just one or two! Each park has information on their websites about booking rooms, as well as the best times to visit and how much time you will probably need to fully explore each park, so make sure that you take some time to plan your itinerary before you leave. A good plan will make sure that everyone gets to see what they want without short-changing anyone’s Orlando trip. Orlando is close to the most beautiful beaches in Florida. In between days at your favorite theme parks, relax and get some sun next to the water. Thanks to Orlando’s centralized location, you’re only a short trip away from beaches on the Atlantic or on the Gulf! You can use the drive to the beach as an excuse to see some of the other great attractions that Florida has to offer. Our charter bus drivers know how to get you to and from the beach safely and quickly, so don’t hesitate to build a beach day (or two) into your itinerary. 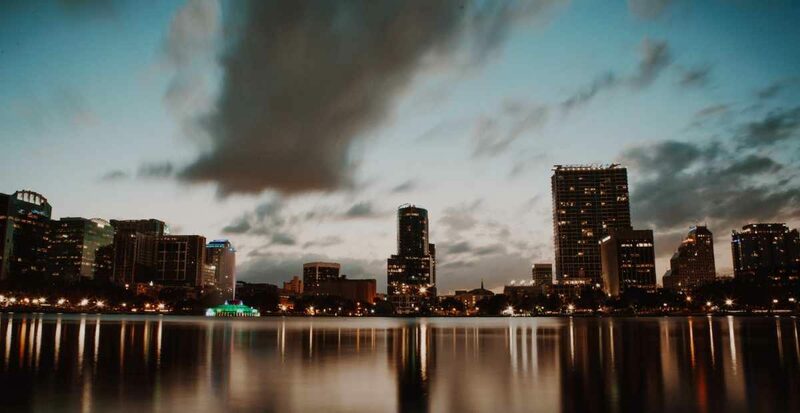 In addition to panoramic beaches and the world’s best theme parks, Orlando is a city full of culture that you’ll want to explore. Try out new restaurants, visit museums, play a round of golf, or enjoy a show! If you want to spend more time outdoors, there are many miles of running trails, and Florida is home to some of the best fishing in the world. Whatever you like to do, Florida has it! Contact GTS today to schedule your charter bus trip to Orlando! We look forward to working with you to plan a fun, affordable trip for your group. Whether you simply need an experienced driver and a reliable vehicle or you need assistance planning the perfect trip, GTS can help!